Happy New Year from StudyOrgo and congratulations on finishing the first semester of organic chemistry! Before you begin classes next semester, take a few days to review the main topics from Orgo1 to prepare you for the second semester of organic chemistry. Not always advertised, this semester will be very different. By now, your professors have covered all of the fundamental parts of reaction mechanisms and have covered a variety of mechanisms as examples. (i.e., arrow pushing, pKa, intermediates, transition states, etc.) This semester, you will see hundreds of reactions that you will have to commit to memory and then recall them in synthesis and retrosynthesis reactions on the final, hence the harsh reputation of organic chemistry. This winter break, we will review the key reaction mechanisms and hints of Orgo1. Sign up with StudyOrgo today to see all 175 reaction mechanisms, including detailed reaction mechanism explanations and diagrams! The most commonly referenced reactions from Orgo1 are the substitution and elimination reactions. One of the hardest concepts is determining what reaction mechanism is predominant under certain conditions. The BIGGEST factors in predicting reaction mechanism for these reactions is type of nucleophile and substrate substituent (1°, 2°, 3°). It is important to remember that these reactions are usually ‘competing’ with each other, hence there will be major and minor products of different reaction mechanisms. Your grade will hinge on predicting the MAJOR product. In some cases, the substrate can only react in one way. For instance, any haloalkane (1°, 2° and 3°) will react with a strong base, such as hydride (H-), to produce an elimination product. But in cases of a 2° substrate, there will be a mixture of substitution and elimination reactions, unless there is a methyl or hydride shift to produce a more stable tertiary carbocation (SN1 and E1 mechanisms). In those cases, other factors help to predict stability of the transition state or intermediate such as solvent choices (polar protic vs. polar aprotic), strength of leaving group and steric effects. To help you see the most likely result of reactions, we have compiled a useful table to help relate degree of substrate substitution to the choice of nucleophile. We hope that this learning aid will help you answer any questions you may have had about substitution and elimination reactions. 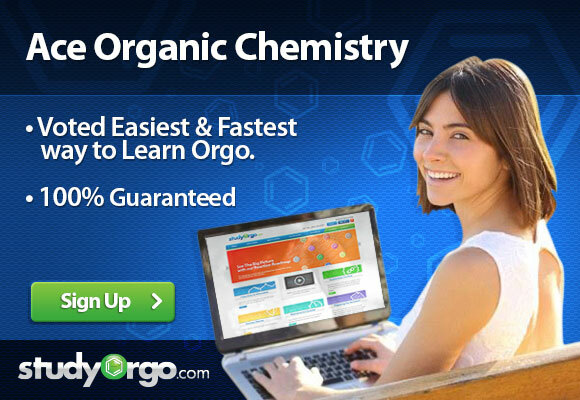 We here at StudyOrgo have compiled hundreds of reactions with clear explanations to help you speed up your studying and get a great grade in organic chemistry. Sign up today to get access to all of our reactions!